Noida extension is going through a phase of consistent growth. A couple of months back, the population of region crossed 1k and the same is expected to reach around 5k by end of this year. Alongside a feeling of relief, parents moving here have a stiff task of finding the best possible education for their children in close proximity. In Techzone 4, the school opened for formal admissions this year. Under the aegis of Ryan group, this certainly is going to be one of the schools to watch for in next 3-4 years time. The school is proposed to be affiliated to CBSE. At sector 3, Noida extension, this is already affiliated CBSE school in the region (vide Affiliation # 2131924). It runs classes from Pre-nursery to XI class. Fees: Admission charges=20000, Annual charges=11500, Tuition fees=11500 quarterly (thanks to Mrs Vinita for providing this data). 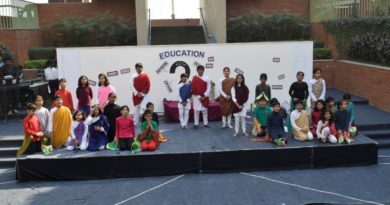 Under the aegis of the DPS World Foundation (different from the main DPS society),this is formed by alumni from DPS schools. This is also promoted by one of Mayoor school’s promoter group. 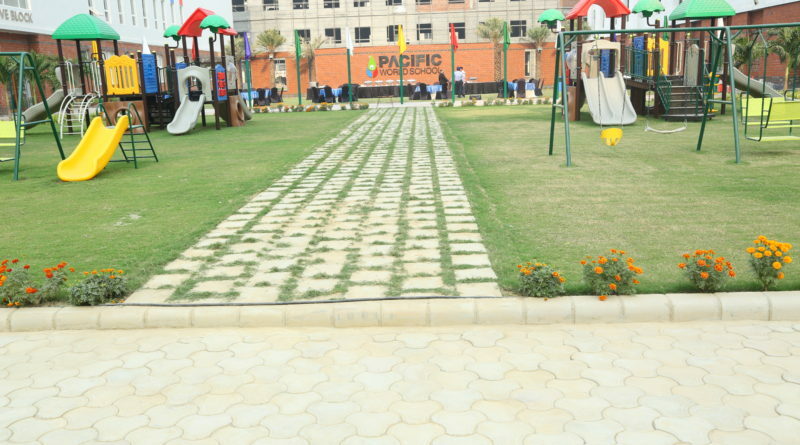 School is one of few schools already affiliated to CBSE and located at Knowledge park V. Most of the faculty is from Amity and DPS of Noida and Delhi. The DPS World school has been renamed to Delhi Public World school effective May, 15, 2017 and later to DWPS effective Dec, 2018. 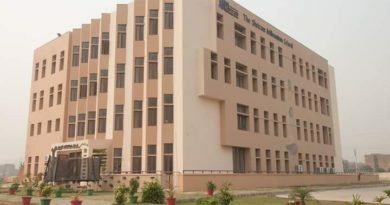 Located in Tech zone 4, this is a school by DPS Indirapuram group of institutions (not DPS society directly).The school will be affiliated to CBSE. Success would depend upon how many teachers from Indirapuram branch move here. Located in Tech Zone 6, Noida extension, the group is also a promoter for Mayoor school in Noida. It has good infrastructure given that it shares its boundaries with Sarvottam college as well. The school is already affiliated to CBSE. Located near Gaur city II, this mark’s Gaur’s entry to education genre. Currently, the school is from Pre-nursery to IX class. The affiliation to CBSE happened this year. With an existing school in Pratap Vihar, Ghaziabad, Bloom group has now come up with this branch at Tech Zone 7, Noida extension. The school is the first one to come up in the region and is already affiliated to CBSE. Located at sector 16, the school is proposed to be affiliated with CBSE. The school is operational from Pre-nursery till 8th standard. At sector 2, Noida extension, this school is open for admissions from Pre-nursery to VII class. Located in sector 16 in Noida extension, it has decent infrastructure to start with. It is proposed to be affiliated to CBSE. Located in sector 4 near Gaur city, the founding group has an educational lineage with its Aligarh branch quite well known. Infra is still being developed and the school would take some time to be in decent shape. Admissions are open till class IX. The school got affiliated to CBSE in August, 2017. The school is located in Techzone VII, an upcoming area. The school is still under development and has started taking admissions from pre-nursery to class V.
Located in sector 16c within Mahagun Mywoods in Noida extension, this promoter of this school is Mahagun builder themselves. The school will be affiliated to CBSE. School will operate from 2018-2019 session from pre-primary to VII standard. The principal of the school is expected to be the Vice principal of the existing Noida branch school. The school is located in Knowledge Park V and would follow CBSE curriculum. The school campus will also have informal schooling (Pre-primary to KG) through its Little Millennium subsidiary. Admissions expected to start in 2018-2019 session. This school is located in sector 3 and will be operational till class VII to start with. First formal session to commence from 2018-2019. The school is going to be a mix of traditional and modern pedagogy techniques. The CBSE school is coming up in sector 4 and is starting its first session from session 2019-2020. The school has another branch at Dwarka Delhi. The school will be located in Knowledge Park V. The construction of the school is in progress and tentatively an informal session is expected to start from year 2019-2020 July. The school is located off road at a slightly isolated place as of now. Located in Techzone-7, the infrastructure of The Infinity School Noida extension is being built and the school is taking admissions for next session (2019-2020). The school is being managed by Vardhaman Education Society. School is going to come up next to Salvation Tree school. The school is not from Shri Educare Ltd (SEL), its founder is Shri Ram Education Trust (SRET). School will be located in Techzone IV. It may be the first school in the region to follow ICSE curriculum (although it will have CBSE primarily) and the first session is expected to be 2018-2019 (subtle one) with formal sessions from 2019-2020. Likely to have higher fees. Like Millennium school, this school too would be located in Knowledge Park V and would follow CBSE curriculum. Although infrastructure is far from over, the school has already started taking admissions and for this session, the classes till IV will run temporarily in Gamma II campus. Later, next session, they will be transferred to Greater Noida West/Noida extension campus. The school will have first informal session from 2019-20. The same is being managed by a software firm. Needs to be seen how it turns out to be since its a franchise. Total 60 schools plots are available in Noida extension. Of existing 20 schools, dpws,pacific and LVIS only have done well. Quantity is there but quality missing. Only those asking high fees giving quality. Last 3 weeks, I have seen 9 schools in the region. Academics, Co-curricular development and gentry are key parameters for me. I have drilled down to pacific and the millennium as my choices. Please advise and help me decide between these two. I am confused between LVIS, Pacific and Ryan. All these are near my home. Heard that both Ryan and LVIS have approachabiliy issue. Which is good please. bloom international school is one the best school in greater Noida west and its Good in academics and with decent atmosphere for studies. how is dpws please. I am contemplating between dpws and pacific for next session. After visiting all mentioned schools, I have drilled down to dpws and pacific. Lotus looks a bit raw in comparison to pacific. Please suggest which one I should choose. I stay in Arihant Arden so both are like equidistant. I had the same confusion and after putting much thought, I chose dpws. the child will start from 1st July. The teachers and principal are quite approachable and experienced. I will be shifting in panch sheel greens 2 please suggest a good school for nursery class in low budget. If you can go upto 8k per month, choose lotus valley. if upto 5-6k, choose dpws. if upto 4-5k, choose aster. I personally don’t find others worth value for money even while they may be cheap. My kid is going to Lotus valley Noida extension. First few days were really mismanaged especially with transport. But they are improving. Fond of DPWS, Aster and Lotus valley. Their principals are special with strong visions. With Shriram lined up next year, it won’t be a cake walk for schools though. Of all the schools I visited, Pacific was the one that I liked the most. Whether it be the infra or the staff. Given the fees, it is likely to attract a different set of people as well, which I feel is good. I went to pacific school for my child’s admission. the experience was good. infra is awesome and no other school has 15:1 student teacher ratio. so finally admitted her to nursery. any other parent who got child admitted to nursery this year? Please help me decide between dpws and aster. I really liked dpws, the staff is very knowledgeable. on the other hand, the first experience in aster was not good. however, aster is closer to my place. Without a second thought, dpws is a better choice than aster if you are ok using bus transport. my child is in 1st class and touchwood has grown into a confident girl. Never go for aster.too much bad about aster. visited pacific today. they have to improve upon external security that looks deserted. otherwise, I really liked the infra and principal was good to talk to. I am highly optimistic about the school. it is a great choice very much like the shiv nadar and shriram in Gurgaon/Faridabad/Noida. Costly but value for money. I agree to your views on pacific world school. if they hire experienced teachers like their able principal, it would offer great competition in the region alongside shriram. I m shifting to panchsheel. ..
My son will go to class 5 .I m confused bet rayan and sarvottam as both are nearby but sarvottam will cost more on pocket becase of its annual charges of 20k compared to 9k in rayan….but infracstructure wide sarvottam is more pleasing….rayan has small playground I m not sure about any extra curricular activities but it is a brand that will maintain there standards. ..I guess….but my son is going towards middle wing academics are more important but can’t ignore personality development too…..
Hi Neha, for post primary classes, we will advise you to go for Ryan among the two. So, if you are ok experimenting with Ryan for a year, we advise you to go for Ryan. The Ryan staff is still being augmented. Some staff is being moved from its NH24 branch which has shown good results. You may also try DPWS as it has one of the senior most staff (on average experience) along side Ryan for senior classes. Problem with Noida extension schools is lack of vision. I have high hopes from DPWS, Pacific and Lotus valley. Have already talked to DPWS Principal Jyoti arora and looks like school is in safe hands. Fees is reasonable considering a decent student teacher ratio and quality of faculty. The biggest plus with Pacific may be student teacher ratio. However, most of the schools are lightly loaded currently. So, fthat distinguishing part would take time to be felt. I visited Lotus and Pacific and finally chose Pacific. The infra is top notch and teachers being recruited are experienced. The principal of Lotus on other hand is Vice principal of existing Noida LV and she has mixed reviews. Another plus with Pacific was low student teacher ratio, the main reason why they are charging more. I felt it was value for money and I hope they provide the best possible guidance to my kid. I need to get my child admitted to class XI as I am moving from Ajmer. Please advise which school shall I choose in Noida extension? I am yet to visit any school. Only Aster, Bloom and Ryan have class XI operational this year. If you are too keen in choosing Noida extension, Ryan is the better option among these for senior class. However, this would only be the first session for the class for them. So, we will advise you to instead go for Noida or Greater Noida or Ghaziabad. Good schools in Noida might have only few vacancies. If you dont get an option in Noida, you may as well try relatively near Ryan Ghaziabad or DPS/Somerville Greater Noida. Sir, You can also consider D.A.V. School, Sector 56, Noida. Please provide information about Florence international school. What are the reviews? Manthan school has mixed reviews from its first session. While some parents have reported improvement in ward’s confidence levels, others feel disappointed for missing out on proper infrastructure. Reviews about teaching staff have been mixed too. I choose wisdom tree school for my baby in class nursery, Please share latest reviews about this school, And i want to know that, will they charge any hidden fee or what about the books and dress charges. And will charge some extra charges for activities and comptition. And what is the teachers issue, Beacuse now the bulk hiring. Hi Pratap, the school is still establishing itself. The vision is good but they are still to move in that direction. You may get parameter wise ratings at the above link. As mentioned, the school asked teachers to resign due to their resistance to participate in weekend events. On the other hand, teachers say they were overloaded. Nonetheless, you can expect around 3k expenditure on books and dress per annum. Assume approx. 5k per year expense for activities/competition. If this is true, Sorry to hear the state of teachers in TWT school. I am moving from Bangalore to Noida extension. Being single mother, it was must to have a school that could offer individual attention to child. I chose Pacific mainly due to very low student teacher ratio. Also teachers being recruited are experienced. Infra is excellent. It would be a school to watch out for. Only DPWS and Lotus valley looked close but low student teacher ratio was the main reason for choosing Pacific. Hope the child’s future is in safe hands now. Please advise between DPWS, Savottam and Aster. My budget is limited to 7k per month. DPWS undoubtedly is much better. Aster has mixed reviews. Sarvottam has lot of focus on infra and extra curricular activities which leaves DPWS for holistic development. I am willing to shift in Gaur City1 Noida Extension , I am looking a good school for my child for Class 2nd. Please suggest schools near by. For class 2, Please visit Gaurs International school, The wisdom tree, Lotus valley and Pacific world school. There is lot of confusion between pacific, lotus valley and dpws. Dpws is established while other 2 schools have good lineage. I had visited 6 schools-Pacific, DPWS, Sarvottam, Aster, Wisdom tree, Lotus valley. I insisted on meeting admin and principal and met principals of all schools except Sarvottam and Lotus valley. Experience was best with DPWS and Pacific. Finally concluded Pacific since its near my home. Visited pacific school during carnival there today. Pacific indeed has infra at different level and is also focussing a lot on individual attention and teacher qualification. I feel more creamy layer expected there as its costlier. The newly established schools are not there in the list. please advise between dpws, pacific and lotus valley only. I visited other schools but found these worth only. Please refer http://go4reviews.in/2017/10/upcoming-schools-noida-extension-rankings/ for upcoming schools list. I liked dpws a lot. also talked to the principal who has very strong vision. only thing is I have to spend 2.5k per month extra on fees over st johns. st johns on other hand is near my home but the student teacher ratio is high thereby individual attention is less. also, academicians in dpws looks much experienced. Finally chose DPWS after visiting all schools including new ones like pacific. They have the senior most faculty in entire Noida extension and hence an obvious choice for 6th class onwards. For junior classes, one should choose between DPWS and Sarvottam as these are established. Please advise if DPWS is good for class VI. My only concern is academics. Child is smart and understand whats right or wrong for him. Please suggest which school would be better for class 3: SKS, Wisdom Tree and Ryan. I want academically good school with individual attention to students. Please help. Please remove Ryan from the list given that you expect individual attention. Visit both SKS and Wisdom tree and decide. They are equally placed. I am going to finalized “Wisdom Tree” School for my child for class 7th. is this school fine for class 7th. kindly suggest. i will be very thankful to you. Please do not go to Wisdom tree .i have very bad experience with them. Faculty has been thrown out from the school in Nov 1ts week. Which school is good for class 2 and class 6 DPS or St John. academic wise and Cost wise St John. Delhi public world school looks at overall development. St johns has mixed reviews on academics and co/extra curricular activities. DPWS would offer holistic development for your child. Visit the school and choose if you are comfortable. Hi Naveen, are you referring to DPS or DPWS when comparing with St Johns? Confused between DPWS and Sarvottam. Now Pacific world school also there. Please advise.